Hey there. Denny's restaurants have our backs! 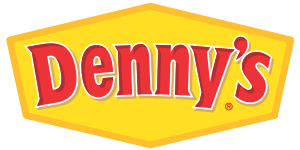 Because of the downturn of the economy, Denny's is offering a free Grand Slam breakfast to anyone that walks through their doors. That's right, FREE GRAND SLAM BREAKFAST! Today only. I think the cut off for a free breakfast is 2 PM so I suggest you avoid the lines and get there now! Good looking out, Denny's. You scored some points with me for watching my back. Later! I was actually tempted to take advantage of this offer! I didn't want to deal with the long queue I would expect from such an offer, though. Did you go? p/s: word verification is "reameks", sounds like something from Dr Who! thanks for a comment on my post. Anyhow, that was my experience with the free grand slam. I also heard that they do this every year, but this was the first time I've gone - so who knows, maybe I'll go next year, too :) It's nice seeing a restaurant receipt having a total of: $0.00 heh.